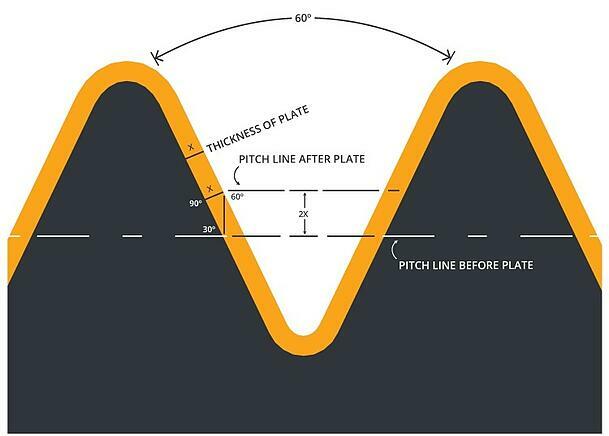 There are specific rules for determining pre-plate pitch diameters, pre-plate major diameters, and pre-plate minor diameters of parts. The calculated pre-plate specifications will be used to design the thread rolls to produce the proper pre-plate geometry, and are used for manufacturing thread rolls and gages. Using this process to design and produce thread rolls with pre-plating allowances will prevent gaging issues, and allow you to run pre-plate parts more efficiently. Threads will form, track and gage properly before and after plating is applied. Send your thread and plating thickness specifications to CJWinter for review. Our team has the capabilities to design and manufacture a thread roll to produce the proper pre-plate geometry form on your part. 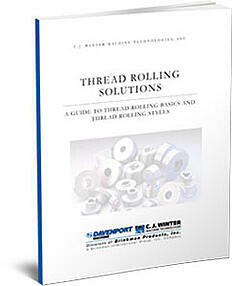 There is no additional charge for this service, and delivery is the same as a standard thread roll.